One of the beloved annual traditions we have is bringing our own family circus out to see a real Circus featuring actual circus families who live and breathe their art. Heart-stopping moments, thrilling daredevil stunts and incredible acrobatics and aerials, all topped off with some cotton candy. I’m talking, of course, about the Royal Canadian Family Circus, and they’re bringing back the iconic Big Top and some incredible new talent to the Lower Mainland. 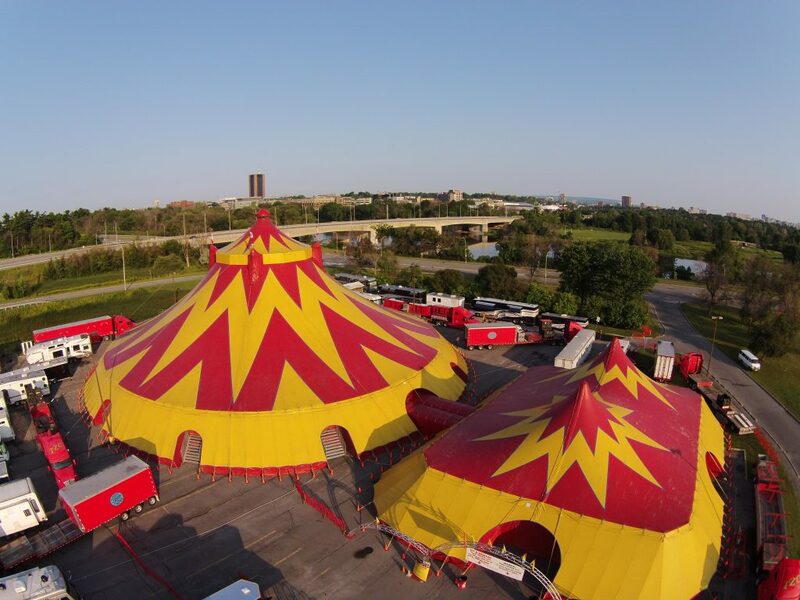 From May 9 – June 9, 2019 the Royal Canadian family Circus Spectac! 2019 will be here wowing audiences for a total of 34 spectacular shows as they launch their 2019 Canadian tour. While going to the circus has become a tradition for us, one of the things we love is watching the traditions of the performers. Generations of families devoted to their craft and passing it on to the next. The Flying Cortes Family? 4th generation trapeze artists from Columbia! The Dominguez Motoswing Act? A 5th generation troupe, also from Columbia who will wow the crowd with daring acrobatics, each performer being launched from a motorcycle swing. Yep, you read that right! And of course, our dazzling Ringmaster and Daredevil extraordinaire, 9th generation circus performer, Joseph Dominic Bauer from Switzerland! There’s also a husband and wife juggling duo from Russia, Chinese acrobats, and contortionists, the death-defying Dominguez Motorcycle Globe that will have you holding your breath and on the edge of your seat, and some comedic relief that’s sure to get some laughs. All this and much more, under the Big Top for The Royal Canadian Family Circus Spectac! 2019. For showtimes visit the circus online at www.royalcanadiancircus.ca Tickets are available for purchase on-line or on-site at the Royal Canadian Circus Big Top Box Office on show days from 10am-8pm! Looking for a great deal? I know we always are! Use our promo code bcmom and get 2 tickets for the price of one! Promo code is redeemable online. Also, children 3 and under are free if they are occupying laps rather than seats. Want that up close and personal experience? To see the exciting action RIGHT UP FRONT? Upgrade to exclusive VIP seating OR, Plush Ringside Seating! It’s an exhilarating experience your family will never forget. VIP and Ringside seating is limited so don’t delay! And now, for the grand finale, the Runaway to the Circus Contest! This is a generous giveaway so amazing you may have to read it twice. Thanks to The Royal Canadian Family Circus, we have five family four packs of tickets to give away to our readers plus one incredible grand prize of eight VIP Ringside seats, a behind the scenes tour, introductions as Honourary Ringmaster plus goodies and pony rides for the kids! Yep, you read that right. We have SIX prizes to giveaway! Ready to win? Read on! I’m getting excited just thinking about it! 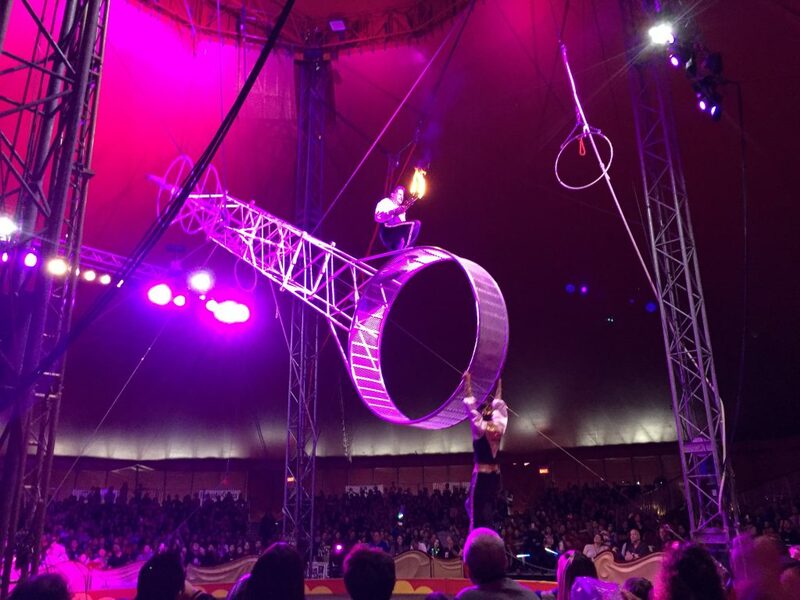 What circus act are you most excited to see? Oh I’d love to take my family plus a couple friends if we won the grand prize. My kids have always wanted to see this ! Would love to take my hubby, daughter and the grandparents to this! I’d run away with my family and parents! I’d bring the whole fam-jam! I would love to take my family and let my boys each bring a friend. I would love to take my daughters!!! The motorcycle globe would be a family favourite in our household!! I would take my son, he loves the circus!! We went for the first time last year and it was even better than what I had expected!! Would love a chance to win and go again this year. I would bring my son and mom, then let my son pick 5 friends!!! Would love to take my daughter to her first circus! I’d love to take my family! They would absolutely love to see this amazing Circus! !🤹‍♀️🎪❤ Thank you for this awesome contest and chance BC Mom! I would take kidlet + hubby! I have never been, this would be awesome to go! Would love to win and take my family! I have always wanted to take my husband and 4 kids to see this! I’d love to take my family! I want to take my family to go !! I would take my kids if I ran away to the circus! Everyone loves a good family act! I would take my 2 boys! I’d love to take my hubby and our littles ams my mom! My hubby and I would take our grandtwins and their parents. I would go to the circus with my husband and my three kids! We’ve never been before! I would take my husband, my daughter, my parents and sister and nephew! Never been and my family would have a blast if we win. I would love to run away to the circus with our grandson! He would love it! I would love to run away to the circus with my grandkids! I’d run away to the circus with my husband and our kids! I’d run away to the Royal Canadian Family Circus with my family!